While I have been blogging for a number of years now via my own personal site, I am ecstatic that The Suburban has introduced this as a special feature on our revamped website. This will give me an opportunity to reach readers directly 24/7. We all know that the internet plays a huge role in the future of journalism. In the case of The Suburban, I know that most people still prefer to read their hard copy each Wednesday. However, the introduction of The Suburban website a few years ago opened the door to an entirely new group of readers from outside of our traditional circulation area on and near the island of Montreal, across Canada and truly around the world. They read us on the web and on their ipads or iphones. Now we are able to expand this format. I hope to use my Suburban blog to expand upon items in my two Wednesday columns while delivering breaking news whenever that might occur. Thanks to this new feature, you do not have to wait for Wednesdays anymore to get the latest scoop. 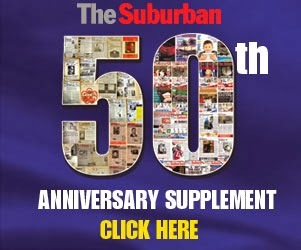 I welcome your feedback at mcohen@thesuburban.com. In this week's column, for instance, I tell you about a documentary produced by Montrealer Ari Cohen ( no relation). Here is an expanded look. The Uluit: Champions of the North provides a rare view into the victory as well as the struggle faced by a culture and community steeped in tradition yet living among the demands and changes of a modern world. Each episode weaves together intimate portraits of these diverse Inuit women embraced by the beauty of the land that surrounds them. It was originally aired in March, but its now being rebroadcast on the Aboriginal Peoples Television Network beginning April 12 and playing numerous times over five weeks. Arnait Video Productions has produced feature documentaries such as Anaana (Mother),Unakuluk (Dear Little One), and the short fiction film Ningiura (Grandmother). Before Tomorrow, the company’s first feature-length fiction film, won Best Canadian First Feature at the Toronto International Film Festival in 2008 and was selected for the International Competition at the Sundance Film Festival. Cohen is the founder of Rotating Planet. He has created films about artists, social issues, identity politics and unique individuals from around the world including the Gemini-nominated documentary Too Colourful for the League, Being Osama, TV series Women Warriors, The Instrument Bank, Falafelism and now The Uluit, a project that celebrates Inuit women. For additional airdates, please visit: www.theuluit.com.